Changes to Membership and Battle Gems! The HS/AQW 'VIP' system has ended. 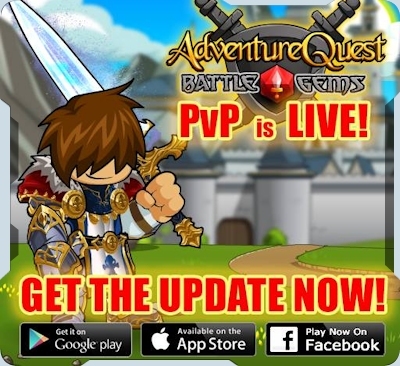 To clarify, the cross promotion between HeroSmash and AQWorlds has ended. Buying an AQW membership no longer gives you anything in HeroSmash. 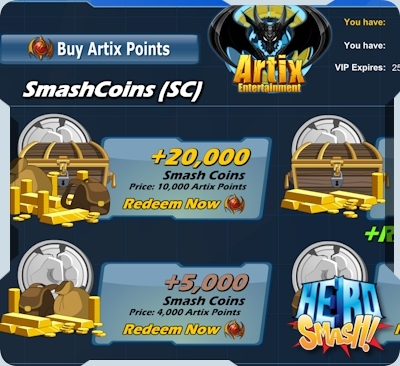 SmashCoins are still available, so anything that is not for free players, can be bought with SC (SMashCoins). In the future, membership 'may' return as a HeroSmash only membership system (this depends on the player count and interest in the game). So goods news for our loyal supporters! If you are currently a member (or had a membership), you get 50 more YEARS of membership for free. On July 7th, all members received a one-time gift of 5,000 SmashCoins for each month of membership they had left (if they had 2 months of membership left, you got 10,000 SC). Only the membership system has chaged, nothing else. This will not change items at all. Membership buttons will be removed from maps to avoid confusion and will be updating the pop-up menu for 'Redeem' button in HALdroid. New Promo gear coming soon! PvP has come to Battle Gems! Read about buying gold and PvP HERE!